Many coffee fanatics, myself included, have formed an all-day coffee habit. Maybe you can relate. While this is fun for a while, in the long term it can cause sleep problems and concerns about cardiovascular health (200 beats per minute is normal, right?!). Add to that the anxiety and upset stomach caused by too much caffeine, and you can see why even the staunchest coffee drinkers may eventually gravitate towards decaf. And while decaf does provide people with a way to enjoy coffee without the caffeine sweat and restless foot tapping staunch java heads live with every day, a lot of coffee drinkers think it’s awful. Rightfully so. Because the different processes of removing caffeine can also have an impact on your coffee’s flavor, there’s a wide spectrum of quality between good and bad decaf. Not all decaf is created equal or extracted in the healthiest ways, and you should be aware of the methods and roasting conditions that create your coffee. 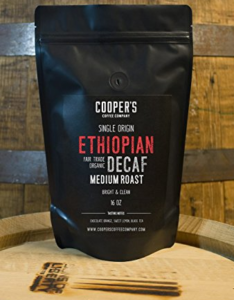 One of my favorite decaf roasts is Cooper’s Swiss Water Process Ethiopian Medium Roast, a single origin Ethiopian that bursts with a berry flavor that tastes like the real thing. Here’s a breakdown of decaf production methods, and my picks for the best decaf coffees on the market. Before beginning, it’s important to note for medical reasons that decaf coffee is not necessarily caffeine free. While there is almost no caffeine in a cup of decaf, it can contain up to 13.9 mg of caffeine, compared to the 85 mg in a cup of caffeinated coffee. From the early days of decaf, health has been a concern. The first method was invented by Ludwig Roselius in 1905. Like many decaffeination methods, Roselius’ method involved benzene. The problem with this is that benzene is a known carcinogen contained in crude oil. Because most people would prefer not to drink coffee beans that are also a biohazard, and because Roselius himself would later need to have a leg amputated due to bone cancer, we no longer use his method. I’m sure it tasted fine, though. Today, there are four popular decaf methods on the market. Each has a different price, flavor, and effect on health. As you’ll come to see, we only recommend coffee decaffeinated using the swiss water method. The most popular method on the market is the CO2 method. It’s the newest and most popular method, and involves pumping liquid CO2 into the coffee beans. While this method is popular for its ability to remove caffeine without removing flavor, its problem is that it is rarely used on quality coffee to begin with. That’s because the method is too expensive to use on a small scale. It’s far more common to use it on mass-produced beans, and this makes a huge difference when it comes to the quality of your coffee. As they say in programming: garbage in, garbage out. Two methods that have in recent years fallen out of favor are the direct and indirect solvent-based methods. 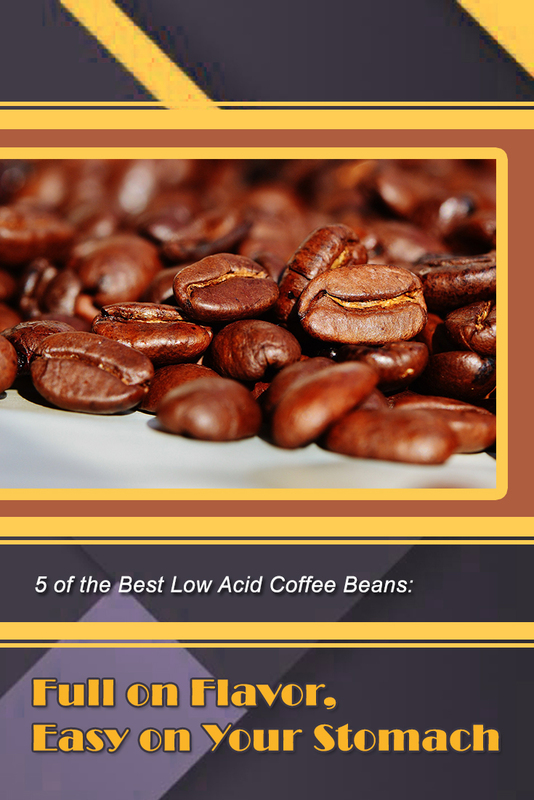 While the two vary slightly, they are similar in that both involve soaking the coffee beans in an ethyl acetate or methylene chloride based solvent. While ethyl acetate and methylene chloride are not nearly as bad for you as the benzene preferred by Roselius, they should be a cause of concern for chemical-concerned coffee customers. In addition, these methods take a lot of flavor out of the coffee beans. The method we recommend for decaf drinkers is the swiss-water method. This method was first tried in Switzerland in 1933, but became a practical commercial method in the 80s. Unlike all of the other methods on this list, it uses only water and coffee to remove the caffeine. 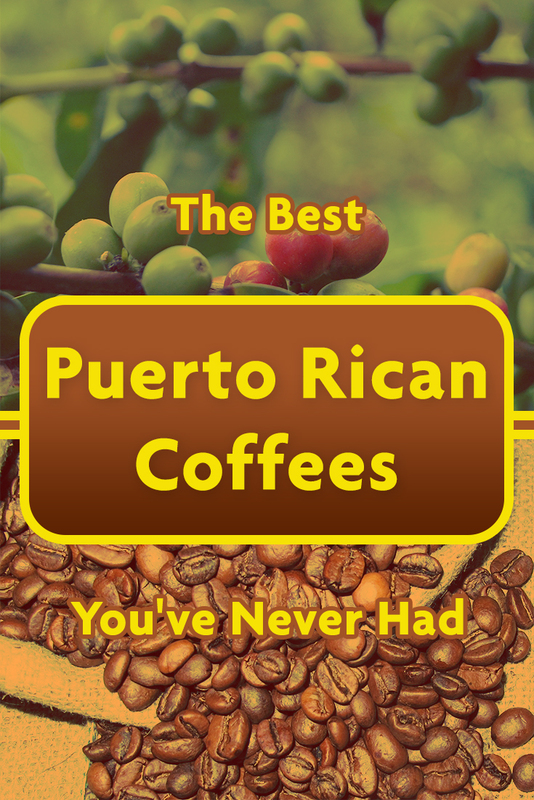 This is the best method for fans of organic coffee, and also the one we recommend. Part of that is the method itself: the swiss water method involves no man made chemicals and is good at preserving the flavor of the coffee. But another reason is the coffee it’s used on: swiss water processing is the most popular method for organic and gourmet coffees. That means you get a better cup of decaf because the coffee going in is already superior. Just like the processing method you use will have a strong impact on flavor, the roast of your beans also matters. Decaf coffee is more sensitive to temperature than other types: when you make a dark roast with it, you’re more likely to get a flavor described as “burnt” than any of the chocolaty or robust flavor notes you actually get out of that roast. In contrast, light-and-medium roasts can hold in the flavor you want in a good cup of coffee. People who do have a taste for dark roasts are better off with a cup of decaf espresso than they are with an actual dark roast: the espresso can likely provide the same robust flavor they enjoy from a dark roast without the added taste of charcoal. Here’s the best way to think about it: decaf dark roasts offer a pale imitation, whereas light and medium roasts give you the taste you want out of coffee. Considering the variety of methods and roasts on the market, there is a wide spectrum of quality when it comes to decaf brands on Amazon. Along with the specifics of decaf coffee, you should also consider the specifics of your coffee making set up. Do you have a coffee grinder? What type of coffee maker do you have? Most importantly, what do you like? The world of coffee is wide and exciting. Luckily for people with caffeine sensitivities and heart conditions, the same is true of decaf. Decaf espresso is a hard thing to pull off. Because dark-roasted decaf coffee tends to taste less like java and more like charcoal, it can be difficult to translate decaf into the world of espresso. But if you’re somebody who likes a latte or a cappuccino, you probably want one. 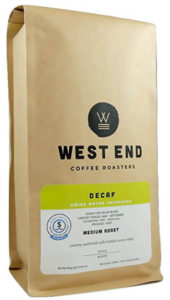 West End Coffee Roasters offers a lovely medium roast decaf espresso to caffeine-free drinkers interested in the complex taste of the beverage. There’s enough of a bitter kick to the flavor to give it the depth you need, but not so much that it overshadows the creamy and chocolaty notes that make this coffee so good. 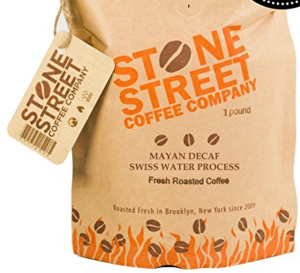 Micro-roasted in the java Mecca that is Brooklyn, Mayan Decaf is smooth and low in acidity. That means it isn’t just easy on the nerves: it’s easy on the stomach. Like a lot of the coffees on this list, the key here is the small-batch roasting. There’s a real difference between coffees roasted to make a good bean, and coffees roasted to make a large batch. With decaf, this is magnified: the flavor profile of a decaf coffee is just too delicate for anything remotely good to come out of mass production. If you like the thick body, berry-packed flavor profile, and incredible floral notes of Ethiopian coffee, you’ll absolutely need to try this single-origin delight. With the taste of lemon, orange, and chocolate all coming to play, this is absolutely delicious. Ethiopian coffee is also perfect for decaf coffee. The region produces notes that are perfect for light and medium roasts, and the Cooper’s brand showcases that with this all-star roast. Kona coffee is interesting and expensive. Far from your daily cup, this Hawaiian style of coffee features unusual flavor notes like toasted coconut and spicy qualities. This combination of complexity and balance makes it a favorite of wine drinkers. Hualalai Estate offers an absolutely delicious deaf Kona, though it is more expensive than the rest of the decafs on this list. Making kona coffee is already expensive: roasting it with the added sensitivity of decaffeination can be nearly impossible. This brand successfully delivers a roast that meets most of what you’d expect out of a good cup of Kona Coffee. Whether flavored coffee is an occasional guilty pleasure or your cup of choice, there’s no shame in enjoying a tasty cup of hazelnut coffee. 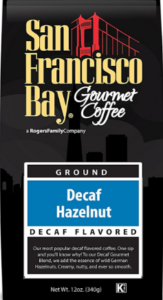 San Francisco Bay offers decaf drinkers exactly what the rest of us want out of a flavored coffee: a noticeable infusion of flavor without being overpowered by the feeling that somebody dropped a Yankee Candle into your cup.